Jeff Shaara, America’s premier Civil War novelist, gives a remarkable guided tour of the ten Civil War battlefields every American should visit: Shiloh, Antietam, Fredericksburg/Chancellorsville, Gettysburg, Vicksburg, New Market, Chickamauga, the Wilderness/Spotsylvania, Cold Harbor, and Petersburg/Appomattox. Shaara explores the history, the people, and the places that capture the true meaning and magnitude of the conflict and provides engaging narratives of the war’s crucial battles. 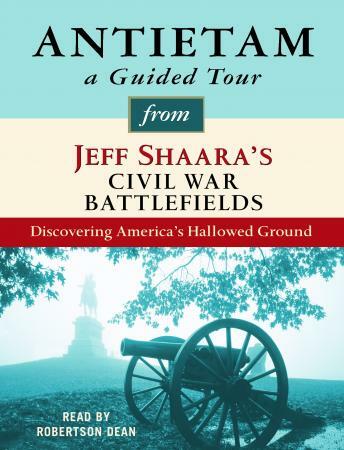 From Antietam to Gettysburg to Vicksburg, and to the many poignant destinations in between, Jeff Shaara’s Civil War Battlefields is the ideal guide for casual tourists and Civil War enthusiasts alike.